At the moment there are three packages of anti-Russian sanctions imposed by EU: the first package, valid until March 15, 2017, includes sanctions against individual citizens of Russia, whom Europe believes are responsible for undermining the territorial integrity of Ukraine; the second package is valid till June 23, 2017 and concerns trade and investment sanctions against the Crimea; term of the third package expires on July 31, 2017, it is focused on certain sectors of Russian economics. Anti-Russian sanctions imposed by USA have no expiration date, the sanction list includes a great amount of Russian companies and individual citizens who according to the American government are directly connected with the annexation of the Crimea, aggression in Donbass, as well as cyber attacks on the US State Department. Also the White House imposed certain restrictions on the export of goods and technologies for the Russian oil complex and froze joint projects in energy sector. However statements of the newly elected American president about the possibility of sanctions review as well as discussion in Europe of the rationale for the latest and losses of the European economy bring into a question the future of the sanction against Russia. How the relief or reduction of sanctions against Russia will influence on the geopolitical architecture of Europe, what are the possible consequences for interior policy and the future of European integration of Ukraine? EuropeFor the European Union the year 2017 will be the year of endurance trial. Netherlands, France and German are getting ready for elections. Foreign policy of EU and character of the relations with Russia will depend on what political forces will win in these countries. 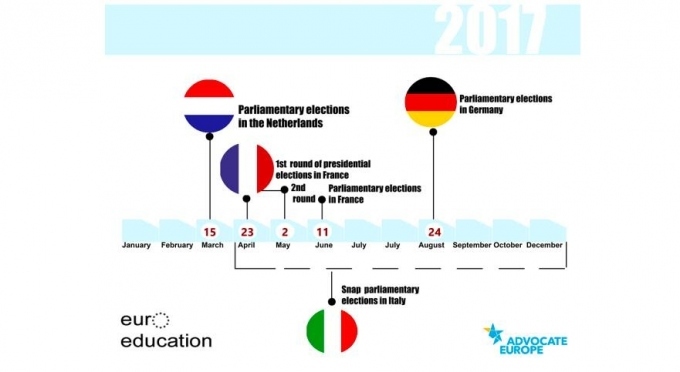 On March 15 parliamentary elections will be hold in Netherlands. According to the forecasts the Party of Freedom leaded by Geert Wilders has the strongest chance to take the first place. It should be mentioned that the Party of Wilders played a key role in mobilization of the oppositionists of the Association of EU and Ukraine at the referendum in April 2016. The Netherlandic Party of Freedom stands for exit of its country from EU, tough migration policy, exclusion of Turkey from NATO and support of Israel on the world scene. The leader of the Party is the adherer of Putin and doesn’t speak straight out as for the relief or reduction of anti-Russian sanctions. However standing out for the so called Nexit in the future, he specifies that Amsterdam should conduct its own pragmatic exterior policy. So it may happen that in case of victory the Party of Freedom will review its attitude towards anti-Russian sanctions. Taking into account that France is a participant of the Minsk Peace Process and jointly with Germany in fact acts as a moderator in complicated Ukrainian-Russian dialog, such statements of the president candidates can carry a threat for entirety and national security of our country. In German parliamentary elections are scheduled for September 24. Though Angela Merkel has great chances to stay on the position of the chancellor, nevertheless her success will depend on coalition form. The experts forecast three possible variants of coalition after elections The first variant is a coalition between the Christian Democrats and the Social Democrats, in such case the potential chancellor will be Merkel. The second variant - the coalition between the Social Democrats and Green-Left Party – gives a chance for a position of chancellor to Martin Schulz and Sigmar Gabriel. And at last the third variant - the Merkel’s Party, the Greens and the part of the deputies of the Democratic Party. Future of the sanctions against Russia depends on kind of coalition. Though the candidates for the chancellor position stand against sanctions relief, in fact in Germany the business lobby that desires relief or reduction of anti-Russian sanctions has a significant power. In recent times the growth of amount of researches, expert columns and journalist articles in which the issues of the anti-Russian sanctions, their political meaning and impact on the German economy and creation of employment are discussed, can be observed. It means that the interest to the question of sanctions is heightened for using it in election debate. If Merkel looses her position and in the Minsk Peace process will be substituted with Schulz or Gabriel, there is a possibility that support of Ukraine in Europe can become much weaker. This year there is still a high probability of extraordinary parliamentary elections in Italy. Chances of current Gentiloni cabinet that supports anti-Russian sanctions to win this election are very weak. In turn the opposition leaded by Silvio Berlusconi takes Eurosceptical and pro-Moscow position. The Hungarian leader Viktor Orban, ironically called by the Western mass media “little Putin”, is quite explicit in his extra negative attitude towards sanctions against Russia. During the recent visit of Putin to Budapest the Hungarian minister stated that political problems should not be solved with economical methods and sector sanctions (Read more). He also said that anti-Russian sanctions costed the Hungarians EUR 6.7 billions. For sure at the moment it is very important for Moscow to find on the European territory the associate that will be the initiator of the sanctions cancellation or will make the first step towards their reduction. Probably such role is allocated to very Budapest. Alexis Tsipras, the prime-minister of Greece also speak up for relief of sanctions, widening of external economical connections and involvement of Russian investments. The newly elected president of the Bulgaria, Rumen Radev, also stands for establishment of more close relationships with Russia and relief of sanctions imposed by EU against Russia. Therefore the amount of participants of the “Putin’s friends” club after the elections in Europe can grow. Geopolitical situation can change in such a way that the existence of the very EU as of the institutional union will be under threat. The official Kyiv should take into account and forecast possible scenarios of events progress. USAToday discourse of the newly elected president Donald Trump in regard to the relief or reduction of sanctions against Russia has changed as compared to his election campaign. During the elections Trump called Putin a “strong leader” and spoke for search of the compromise in relationships. Within the first weeks after inauguration Donald Trump gave an interview to the “Wall Street Journal” in which he stated that he is open to the review of the sanctions against Russia and even spoke for relief of the latest in case of common struggle of USA and Russia against ISIS. In time the adviser of the American president Kellyane Conway informed that possibility of reduction of sanctions against Russia is under discussion, and that conversation about the sanctions relief are untimely. In result of uncertainty and ambiguity of the USA leader regarding the anti-Russian sanctions issue the group of senators initiated a draft law that limits powers of the Trump’s administration on relief of sanctions against Russia on a unilateral basis. As has rightly been said by D. Fried, the USA State Department’s Coordinator for Sanction’s Policy, “sanctions gave the ground for searching diplomatic methods of solving the conflict between Ukraine and Russia”. Though the sanctions did not achieve their objectives, they allowed to stop Russian aggression against Ukraine and to retain Kremlin. The fact that the Trump’s command delays representation of clear government position as for the relief of sanctions from Russia speaks for the beginning of bargaining between the White House and the Kremlin as for the definition of new rules of the game in the context of opposition USA – China. For sure for USA it is much more important to make Russia its associate in anti-China club than to struggle for return to Ukraine of the territory occupied by Russia. That is why for the new American leader Ukrainian issue is only one of the bargaining chip in geopolitical game. Though, the situation remains unclear. At the moment Moscow chooses what party to support – Washington or Bejin. If Putin decides to support USA in exchange for relief of sanctions and solution of “Ukrainian issue” on Moscow conditions, Russia takes a chance to enter into an open opposition with China. On another hand, handshaking with China will deep Russia’s conflict with USA and EU and such scenario doesn’t meet the interests of the Kremlin for financial economical and political diplomacy reasons. More likely Putin’s team will use the strategy of time extending counting on weakening of one of the parties of the conflict. It means that the Kremlin will maintain continuing bargaining with Washington and Bejin without declaration of its positions trying to get additional benefits, including also relief of sanctions on conditions favorable for Moscow. The perspective of anti-Russian sanctions weakening, so often mentioned by Trump and his advisors, is a dangerous political decision that can lead to changes in the global geopolitical architecture. First of all, sanctions are a form of international legal responsibility for violation by the country of international law and international agreements. It is reasonable that sanctions imposed against the country that violated the international order should be reduced or relieved upon reaching a compromise or solving a problem that became the reason of sanctions imposing. So at the moment of making a decision as for the sanctions relief one should analyze if the reasons for their introduction changed. For example anti-Russian sanctions have been imposed in 2006 because of usage by Teheran of nuclear technologies for military purposes and lifted in 2016 upon Iran government confirmation of refusal from nuclear programs. In case with Russia sanctions have been introduced because of annexation of the Crimea and aggression in the Eastern Ukraine. So their relief or cancelation should be correlated with solving of so called “Ukrainian question” and not with cooperation in the world struggle against terrorism. Otherwise, value of sanctions as an international legal instrument, will be depreciated. More than that it is unacceptable to treat sanctions from position "business as ussual", when sanctions are interpreted only in terms of economical loss. Or to interpret the sanctions as product and to create so to say market of sanctions, for example the sanctions were imposed because of “Ukrainian question” and lifted because of solving the “Syrian question”. Such possible illegal usage of sanction mechanism can explode the leading role of USA in the world economy and depreciate the meaning of the very sanctions mechanism. UkraineAt the moment geopolitical situation changes very fast and unfortunately not for the good for Ukraine. It is still highly probable that anti-Russian sanctions imposed by USA and EU can be reduced or partially cancelled, for example in sectoral context or in regard to investments and trading in current year. No doubts that “reloading” of sanction mode against Russia brings both internal and external risks for Ukraine. It is clear that the mode of anti-Russian sanctions can not last forever and one moment the sanctions will be completely lifted or partially reduced. But the reasons for sanctions mode cancellation or reduction are also very important: whether that be cessation of hostilities in the Eastern Ukraine, on the territory of occupied Donetsk and Luhansk, and return of the Crimea to Ukraine, or it be relief of sanctions in exchange for solving other important questions such as “Syrian question” or cooperation in struggle against ISIS, etc. First of all it is psychological aspect. The Ukrainian society, that paid high price for the future hope for the European integration of our country, can give up on European values. Relief or cancellation of anti-Russian sanctions by USA and EU without any meaningful changes will be taken by the society as a banal betrayal. At long last the Ukrainians believed into political justice, saw the support of European community during the Euromaidan, didn’t conform to live on conditions of existing Ukrainian political system with Russian “accent”, but tried to change it. So today “in the midst of reformation” the Ukrainian community more than ever requires support of the European partners.Secondly, tough inner competition in the Verkhovna Rada, opposition between the president and the parliament, worsening of social situation in the country, impoverishment of people, “”slipping” of the reforms, - all these problems together are the inner challenges for national security of Ukraine. In case of addition to the latest of the external challenges, such as ungrounded transformation of anti-Russian sanctions by the European countries and USA, there is a high possibility that pro-Russian forces can get a chance for revenge in Ukraine. 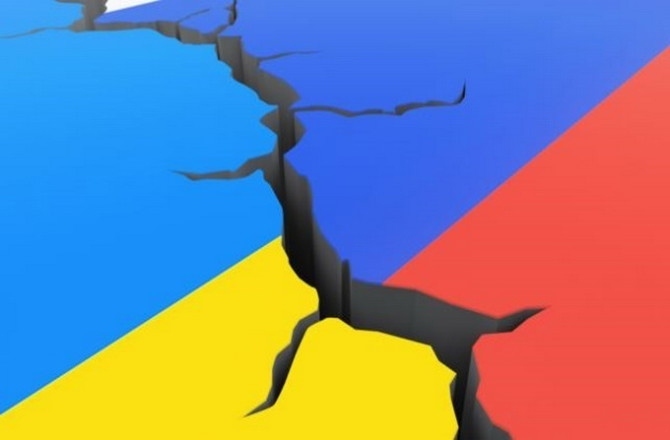 In such case “reloading” of political power in Ukraine or even change of the political course to the convergence with Russia are not excluded.Thirdly, the review of anti-Russian sanctions brings challenges also for the EU integration reforms of Ukraine. First of all it can result in their slowdown or even freezing. After decades of awkward governing Ukraine have to overtake other European democracies in express-mode. To work in next 10 years the way other European countries worked during 20-40 years. Deep and stable reforms step by step will approach Ukraine to EU and then also let joint it. Slowdown of reforms can lead to deepening of economical crisis and return our country into the past.In the fourth place, according to the forecasts of the experts there is a danger of realization of so called “Austrian variant”. This means projection on Ukraine of the experience of postwar Austria, when USA and USSR agreed to make Austria equidistant and neutral country. For Ukraine the following scenario is possible: removal of the Crimea from agenda though de jure it will stay Ukrainian; official Kyiv will get occupied territories of Donetsk and Luhansk on the common terms of Minsk-2, and also get the guarantees of security or for example new security treaty instead of Budapest one. And, at last Russia and Europe open their markets and renew or even deepen their cooperation and Ukraine can get no-visa regime, as it is not a crucial indicator for Russia.Main foreign policy challenge for both Ukraine and European countries is that ungrounded relief of sanctions from Russia will motivate the Kremlin to more aggressive and impudent policy in regard to the neighboring countries. The former head of the Ministry of external affairs of Ukraine Volodymyr Ogryzko said: “in case of anti-Russian sanctions cancellation not only Ukrainian borders will change in the nearest future. The number of other countries will suffer as well. It is also about Poland, Lithuania, Estonia, Finland, etc. This is the price of question”.